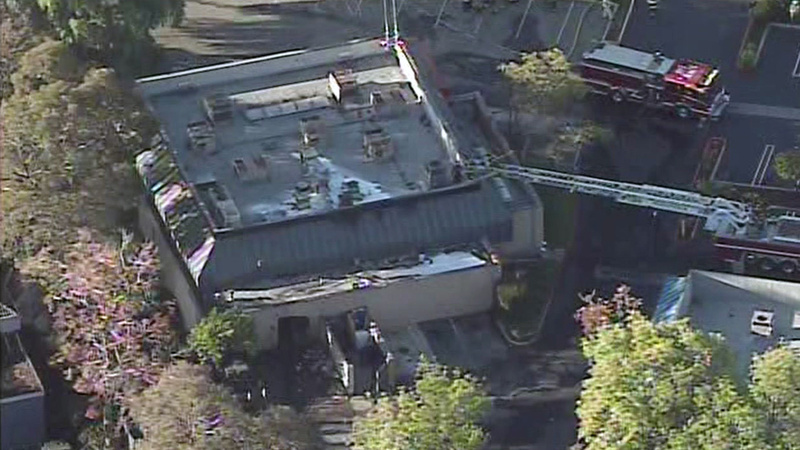 SUNNYVALE, Calif. -- A two-alarm fire at a sushi restaurant in Sunnyvale early Tuesday morning has been extinguished, a Department of Public Safety spokesman said. Around 6:20 a.m., crews responded to a report of a fire at Olleh Sushi and Tofu House at 595 E. El Camino Real near Fair Oaks Boulevard, public safety Capt. Jeff Hunter said. Arriving firefighters quickly extinguished flames in the roof and inside the unoccupied business, he said. While the building was not entirely involved, the fire in the restaurant's attic was difficult to reach and firefighters called a second alarm response, Hunter said. Hunter did not expect the restaurant to open today due to the large amount of smoke damage the building sustained. Westbound El Camino Real was closed at Fair Oaks until shortly after 9 a.m., according to Hunter.